Leading Wholesale Trader of stainless steel clamps and titanium pipes from New Delhi. Leveraging our vast domain excellence, we are engaged in offering Stainless Steel Clamps. Our offered products are manufactured from high-grade materials to ensure their durability. 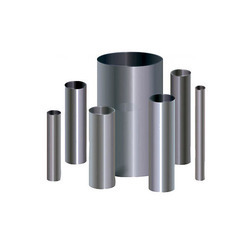 High tensile strength and flawless quality are main features of our offered product and thereby, it is highly recommended among our clients. Finish : Internal surface finish is achived below RA 0.8 with machine & RA 0.5 for ASME BPE standard. The Titanium Pipes, plates, sheets and rounds supplied by us are known for their corrosion resistant nature and durability. We ensure that the products we procure are made of premium quality raw material. Looking for Stainless Steel Clamps ?